Mesa Air Group, Inc. has announced the commencement of its initial public offering (IPO) of 10,700,000 shares of its common stock, at an anticipated initial public offering price between $14.00 and $16.00 per share, pursuant to a registration statement on Form S-1 previously filed with the U.S. Securities and Exchange Commission (SEC). The Company and the selling shareholders named in the registration statement granted the underwriters a 30-day over-allotment option to purchase up to an additional 1,605,000 shares of the Company’s common stock. If the overallotment option is exercised in full, 938,333 shares will be purchased directly from the Company, and 666,667 shares will be purchased directly from the selling shareholders. The Company has been approved to list its common stock on the Nasdaq Global Select Market (Nasdaq) under the symbol “MESA,” subject to official notice of issuance. The Company intends to use the net proceeds from the offering received by it to repay certain outstanding indebtedness, to pay fees and expenses related to the offering and the remainder for general corporate purposes. The Company will not receive any proceeds from the offering of the common stock by the selling shareholders. This offering will be made only by means of a written prospectus. Mesa Air Group is the parent of Mesa Airlines. This entry was posted in Mesa Air Group, Mesa Airlines and tagged Mesa Air Group, Mesa Airlines on August 3, 2018 by Bruce Drum. United Airlines is continuing the expansion of its “United Private Screening” in-flight entertainment with the launch of free personal device entertainment on two-cabin United Express regional jets; expanded HBO programming; and exclusively curated content from Vevo, the world’s leading all-premium music video and entertainment platform. United currently has one of the largest offerings of free streaming entertainment – already on more than 200 United aircraft – with scores of television shows and movies available for streaming directly to travelers’ laptop computers and iOS and Android mobile devices. 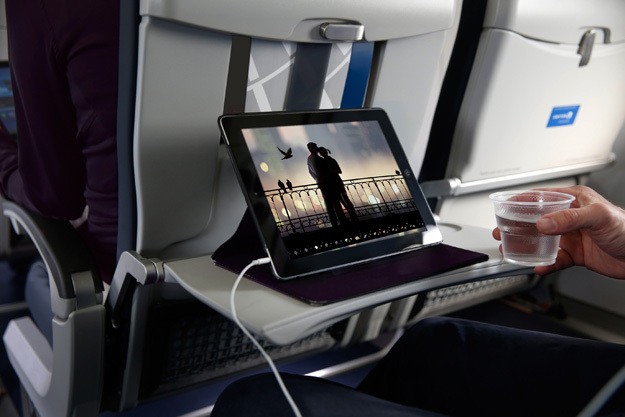 Customers on flights with personal device entertainment may enjoy popular films like “Birdman,” “The Second Best Exotic Marigold Hotel” and the “Taken” trilogy, as well as kid-friendly favorites such as “Alexander and the Terrible, Horrible, No Good, Very Bad Day” and “The LEGO Movie.” Hours of popular television shows are also available and may include HBO’s “Veep” and “The Jinx: The Life and Deaths of Robert Durst,” as well as “Mad Men,” “Orange is the New Black” and other hit shows. 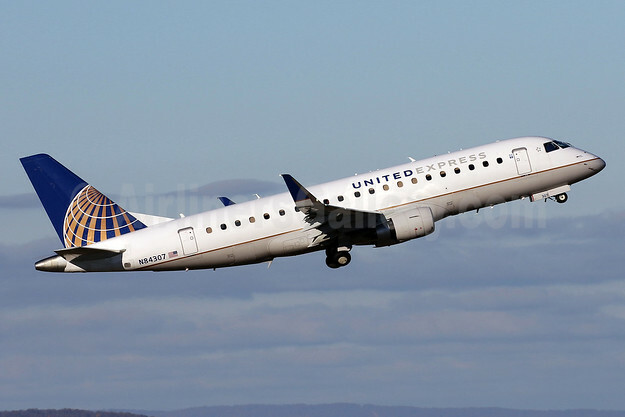 United has begun rolling out personal device entertainment on its fleet of more than 120 Wi-Fi-equipped United Express Embraer E170, E175 (above) and Bombardier CRJ700 regional jets, with more than half of these aircraft now offering free streaming entertainment. The airline plans to offer the service on all Wi-Fi-equipped regional jets by the end of next week. This summer, United also launched a pilot program offering tablets for rent on Boeing 777 flights between the continental United States and Honolulu and between Honolulu and Guam. The 8.4-inch tablets contain stored entertainment, including television shows, movies and games. Another 227 mainline aircraft offer live television, more than any other airline in the world. Customers may learn before departure which entertainment option will be available by checking their flight status at united.com or via the United mobile app. Top Copyright Photo: TMK Photography/AirlinersGallery.com. Embraer ERJ 170-200LR (E175) N86322 (msn 17000465) prepares to land at Toronto’s Lester B. Pearson International Airport (YYZ). 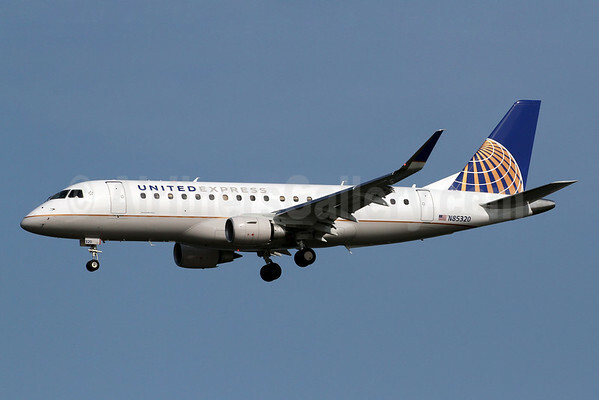 This entry was posted in Mesa Airlines, United Airlines, United Express and tagged 17000465, E175, Embraer, Embraer E175, Embraer ERJ 170, Embraer ERJ 170-200LR, Embraer ERJ 175, entertainment, ERJ 175, HBO, HBO entertainment, Lester B. Pearson International Airport, Mesa Airlines, N86322, Pearson, regional jet aircraft, Toronto, United aircraft, United Airlines, United Express on August 14, 2015 by Bruce Drum. Bombardier Commercial Aircraft (Montreal) has announced it has delivered the first of seven CRJ900 aircraft to Mesa Air Group, Inc. of Phoenix, Arizona (Mesa Airlines). 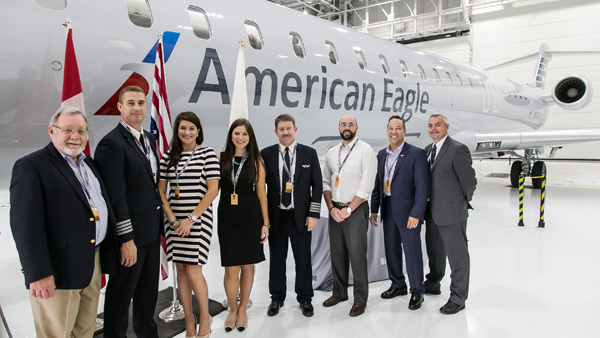 Mesa will operate the aircraft for American Airlines under the American Eagle brand. The aircraft delivered is one of a firm order for seven announced on March 12, 2015. The CRJ900 delivery ceremony held on June 30 at Bombardier’s Mirabel, Québec facility, was attended by executives of both Mesa Airlines and Bombardier Commercial Aircraft. The aircraft delivered will increase Mesa’s fleet of CRJ900 regional jets to 58, reconfirming the airline’s standing as one of the largest operators of this aircraft model. Mesa’s new CRJ900 aircraft are configured with 76 seats in a dual-class interior. The airline also operates 20 CRJ700 aircraft with 70 seats in a three-class interior. 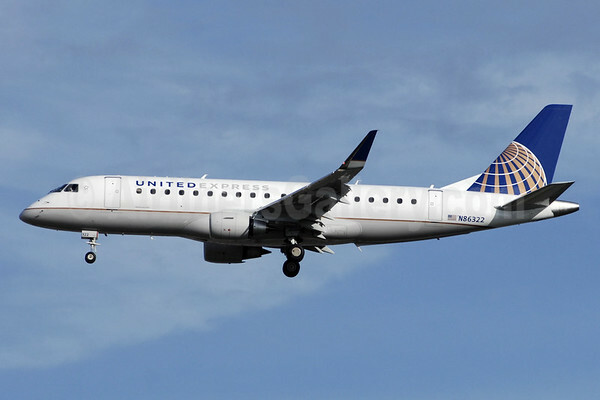 By September 2015, Mesa’s currently scheduled deliveries will bring its regional jet fleet total to 115. As of March 31, 2015, Bombardier had recorded firm orders for 1,865 CRJ Series aircraft, including 391 CRJ900 aircraft. 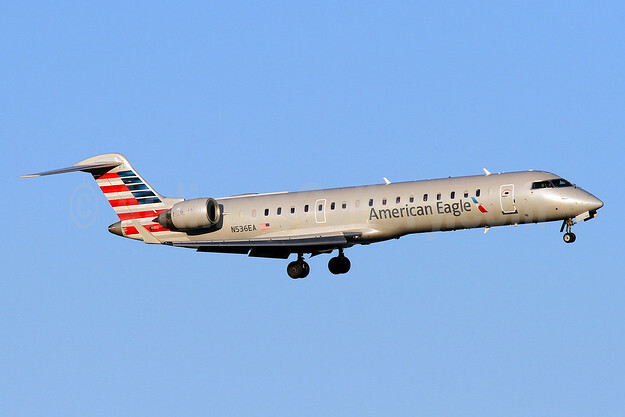 This entry was posted in American Eagle, Mesa Air Group, Mesa Airlines and tagged American Eagle, Bombardier, Bombardier CRJ900, CRJ900, Mesa Airlines on July 1, 2015 by Bruce Drum. Mesa Airlines (Phoenix) last night (June 7) had an incident at Buffalo, New York. United Express flight UA3796 operating from the Washington (Dulles) hub to Buffalo with a Mesa Airlines Bombardier CRJ700 (CL-600-2C10) N514MJ (msn 10116) overran the runway end on landing. The regional jet came to a stop in an overrun grassy area. There were no injuries to the 69 passengers and three members on board. This entry was posted in Mesa Airlines, United Express and tagged Buffalo, flight UA3796, Mesa Airlines, United Express on June 8, 2015 by Bruce Drum.